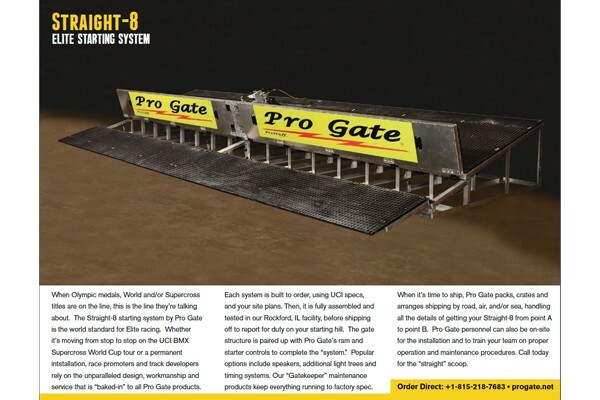 The official starting system of UCI BMX Supercross, Pro Gate Straight-8 is also the gate used in both the Beijing and London Olympic Games. Straight-8 delivers superior reliability, modularity and global availability to any race promoter, national training center or permanent racing facility. We invite you to contact us for a free consultation on bringing the world standard for Elite racing to your facility.